A OneTouch Verio IQ meter and a mini USB cable - this cable is required to connect your OneTouch Verio IQ meter to your computer. Connect your device. Your meter should display "PC Connected" when properly connected to your computer. 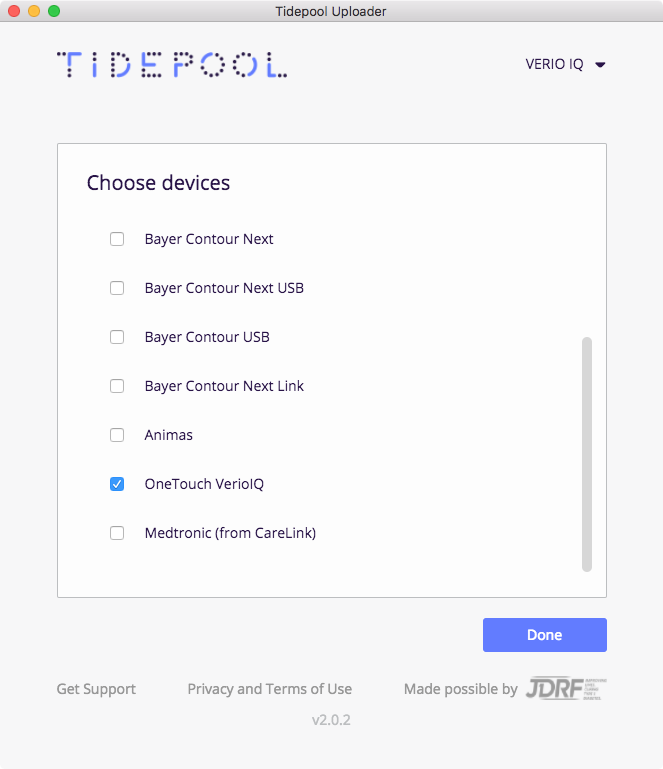 Confirm "OneTouch VerioIQ" is one of your devices. 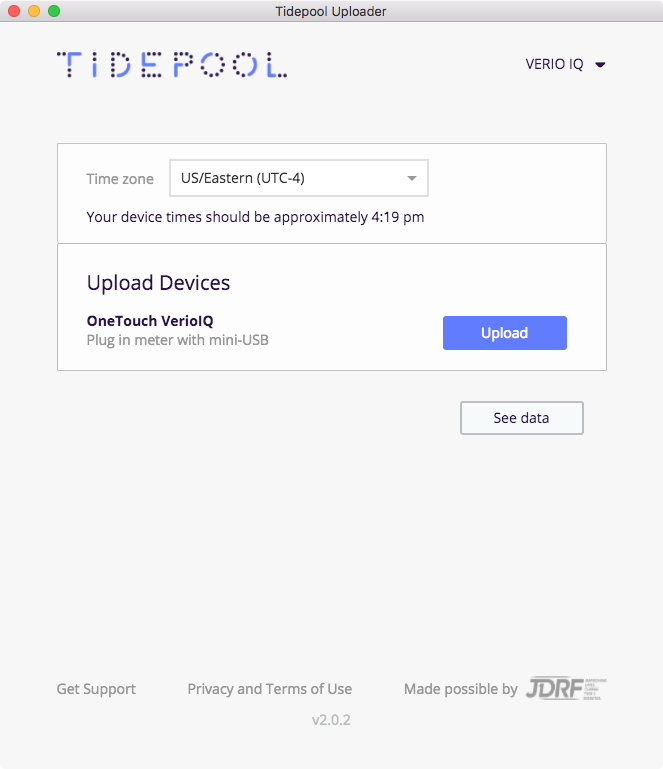 You can change your devices by selecting "Choose Devices" from the menu under your name.